A few weeks ago, I was out shopping and came across the BYS shelf in a random little "cheap shop". I always see the BYS cosmetics and nail enamels, but tend to avoid them purely because I figured their products couldn't be too great because they're so cheap! But on this particular day, I really felt like painting my nails and trying out something new, so I thought - hey, why not give them a shot? They were only $4.95 each, so I got two different colours to try. One was Black Satin and the other was a bright blue called Step Right Up. I have been so pleasantly surprised with these polishes! 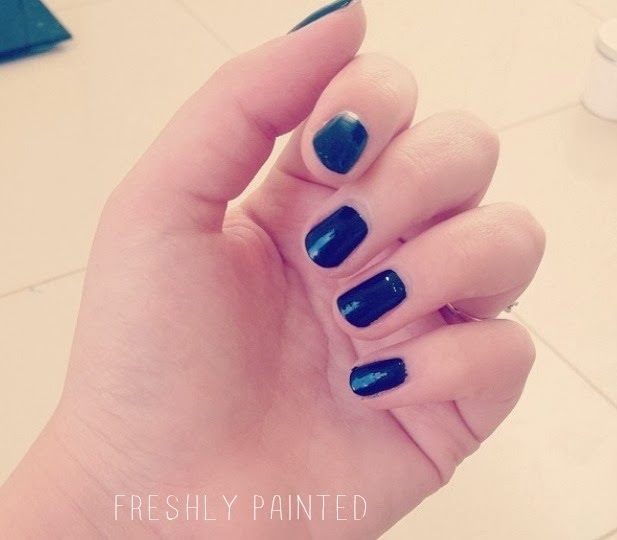 I decided to try Black Satin first, and I have now had it on for 7 days with NO chipping! I haven't tried any of the other BYS products, so I can't comment on them. 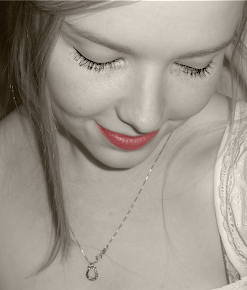 But I'm so impressed with the nail polish, I will definitely go back and try out some of their other cosmetics. I love the fact that none of the products are tested on animals, and they are just so darn cheap! I occasionally buy a BYS nail polish from Kmart ($4 there) when I feel like an inexpensive 'fun' polish colour fix. 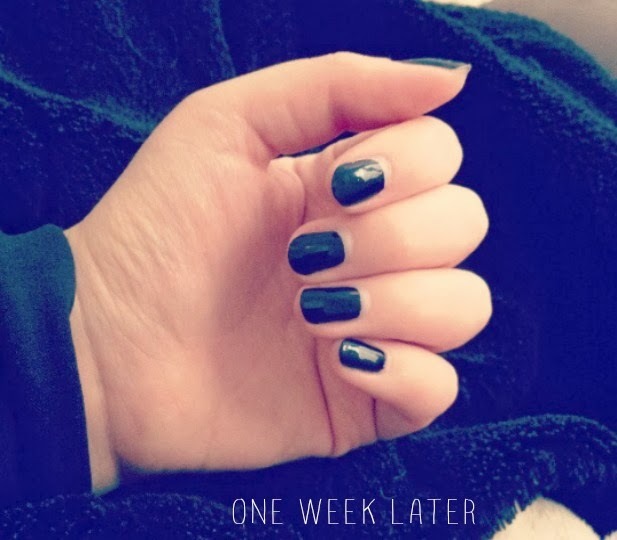 For me they tend to start chipping after about 3 days on average, but because the polishes are so cheap and, for me, non-damaging to my nails at all it doesn't bother me. My favourite shade at the moment is 'Hocus Pocus', a bright turquoise-y shade which is a great summer colour. I love the Black Satin shade you're wearing!